Glasgow-based Beeks Financial Cloud Group, a cloud provider for institutional capital markets, announced its entry into the cryptocurrency market via a collaboration with New York-based Gemini Trust Company, LLC. Gemini is a licensed digital asset exchange and custodian for individuals and institutions. The Beeks Cloud has nine data centres globally, providing “low-latency infrastructure” and connectivity for institutional capital markets. “Via this new collaboration, Beeks can provide direct connectivity to Gemini via the Beeks Cloud, allowing Beeks’ clients who are existing clients of Gemini to source and trade Bitcoin and Ethereum legitimately and securely,” said Beeks. “Bitcoin and Ethereum are currently the two largest digital currencies in the world. “Both Ethereum and Bitcoin are decentralised payment networks, with their own cryptographic currency, that allow anonymous payments to be sent across the internet without the need for a bank or other third party. “Coded transactions are stored in a decentralised ledger, the blockchain, and are visible for everyone on the network to see. The launch is part of the ongoing expansion of the Beeks offering, which now covers the Forex, Futures, Fixed income and Cryptocurrency markets. Gordon McArthur, CEO of Beeks Financial Cloud, said: “Cryptocurrency trading is growing in popularity and this is a service our institutional clients have been wanting for some time, as they seek a means to trade cryptocurrencies legitimately and securely. “The high level of regulation on the Gemini Exchange provides our customers with an assurance of greater security in a volatile market. 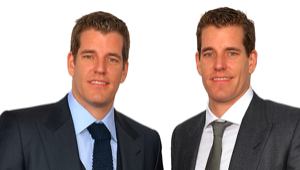 As a New York trust company regulated by the New York State Department of Financial Services (NYSDFS), Gemini is a fiduciary and is therefore subject to the capital reserve requirements, cybersecurity requirements, and banking compliance standards set forth by the NYSDFS and the New York Banking Law (NYBL).